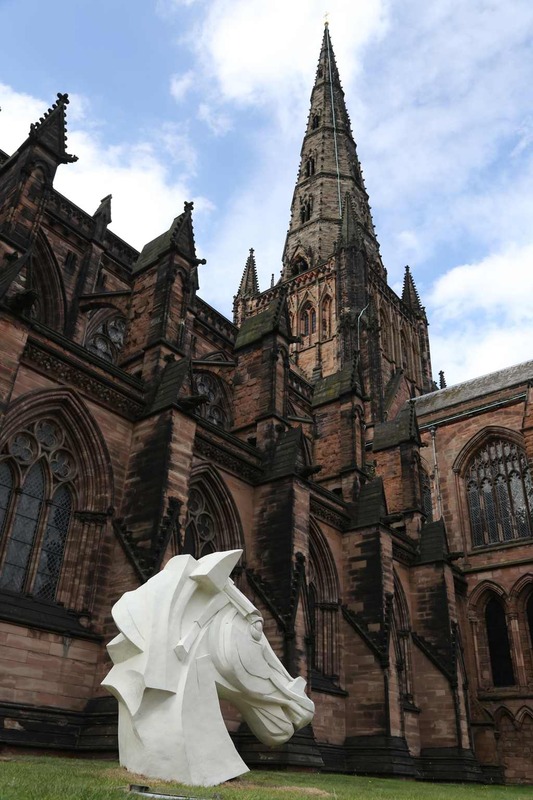 The “A City as Sculpture” exhibition by Peter Walker launched last week at Lichfield Cathedral. 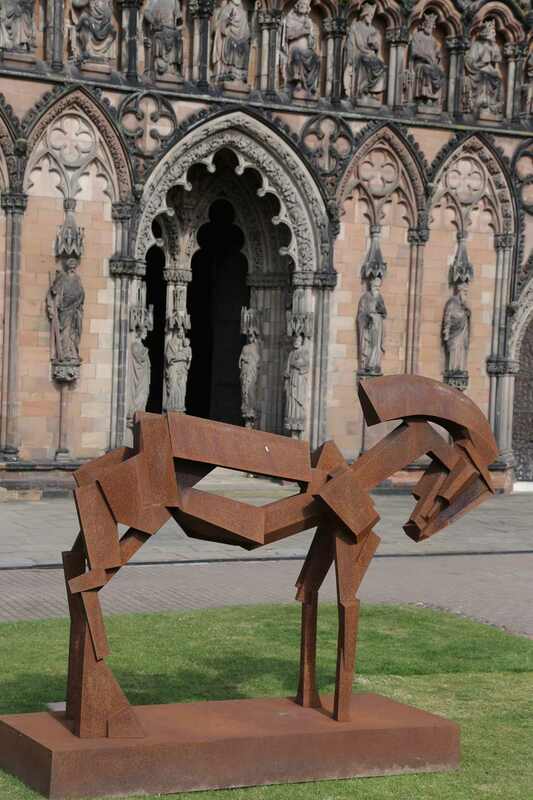 The launch event was attended by over 150 people who saw work displayed in the Cathedral grounds and internally. In total over 60 works are on display with internal work being shown until September 9th and external work until the middle of October. 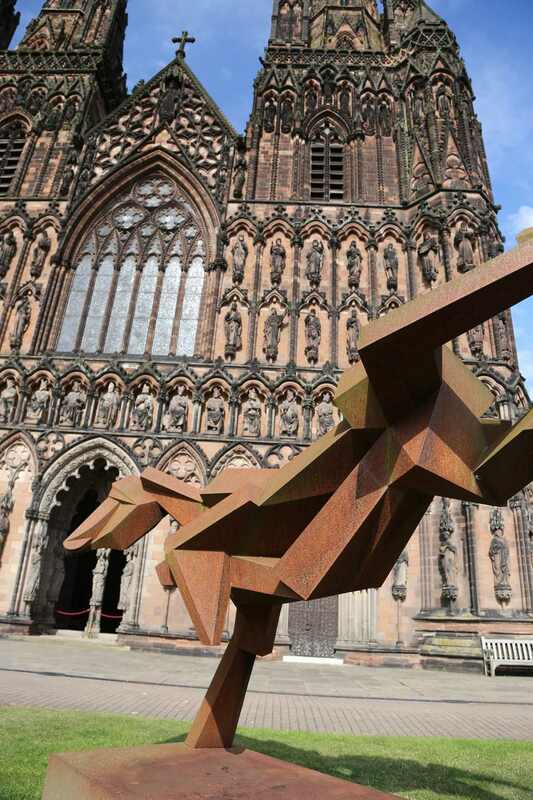 The launch event saw a film about the artist in the studio and projection art around the Cathedral alongside sound artwork by David Harper.